I love Halloween. It’s one of my favorite holidays of the year! I also love our townhouse but the one thing I don’t love about it is that kids never come to our door on Halloween. I mean, our townhouse is located at the end of a dark alley but what’s a little spookiness on Halloween? Anyway, they never come, so every year for the past six years, Marcus and I have gone over to our friends Mike and Caroline’s house for their Halloween party and potluck. It’s fun and festive–with a huge bat hanging from the trees in the front yard, glowing jack o’lanterns, fake spiders, and all kinds of spooktacular stuff–and always filled with good people and good food. 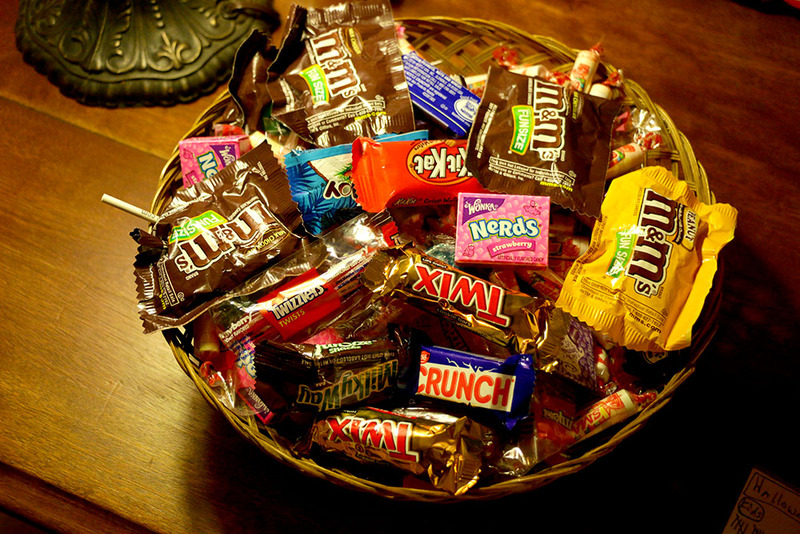 But really, in the end, we go for the trick-or-treaters. We love seeing all the kids (and adults and dogs!) in costume out trick-or-treating. And technically, I count it as a Favorite Free Thing even though we contribute about $20 of candy every year. $20 is a small price to pay for a night’s worth of entertainment. Caroline, a die-hard list lover, loves to count the number of kids and adults in costume that come to the door. We also count the number of dogs that come up (costume optional). Caroline gives out the candy (and biscuits to the dogs) and I keep count on a notepad. This year we broke all records with 152 kids! 18 adults! And 13 dogs! Oh my! Here are some of my favorite tricksters from last night. 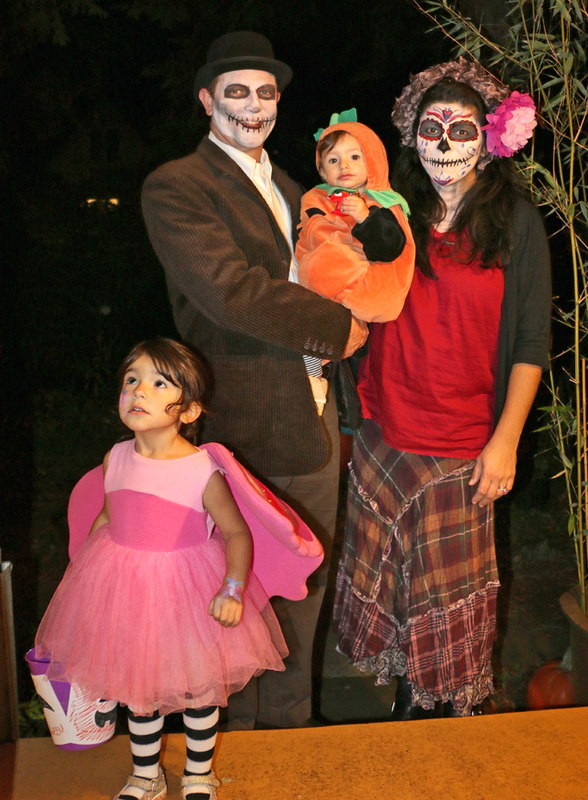 Loved the cute and spooky Dia de los Muertos Family. Adore the mom’s face makeup! Thinking about R&Ding (rob & duplicating) that next year. This kid told us he/she was “Mr. Paddington” from some video game. He/she said no one knows who she is. 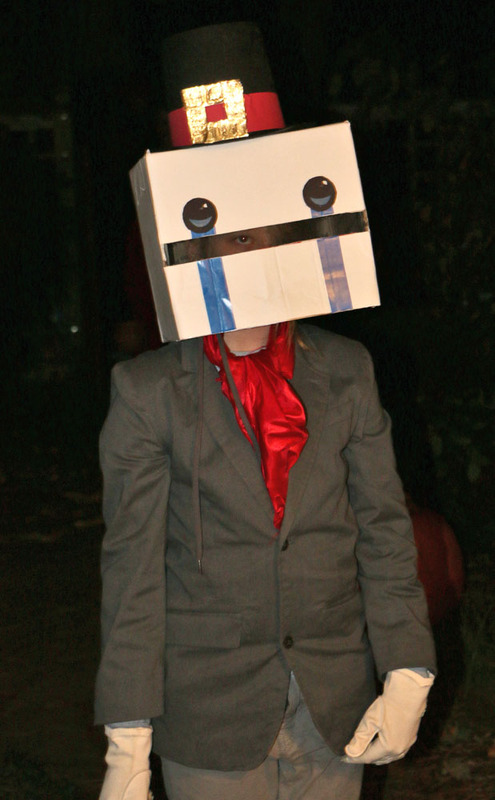 Still, the kid gets points for making the costume from scratch. DIY! 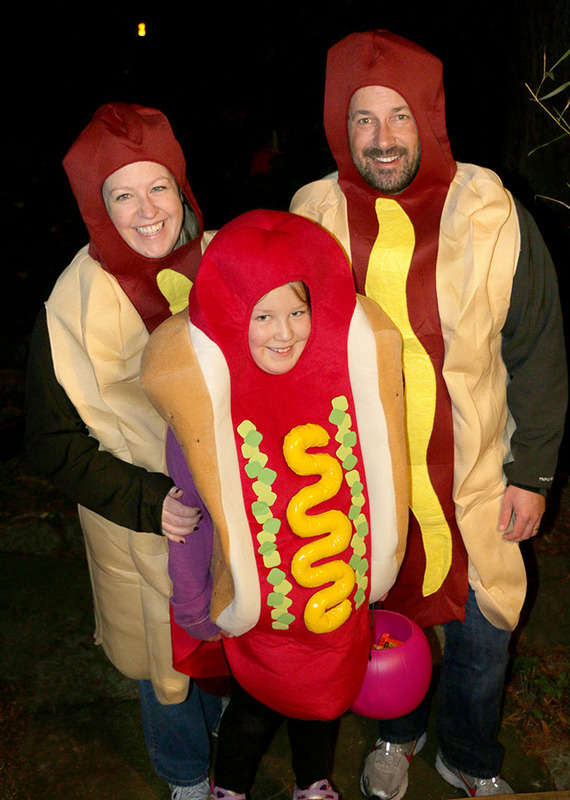 My favorite of the night–the Hot Dog Family. Look at their cute costumes! Look at their cute smiles! It just warmed my heart…and I couldn’t stop laughing. They even inspired me to create a new Twitter hashtag: #SoCuteItKillsMe. Halloween is over but I’m still craving chocolate and more costumes. Can’t wait for next year!